As we are becoming a generation concerned with what we eat, I thought I would examine healthier but fun alternatives to offer at Halloween. When I was a kid, I barely made it home with my loot as I ate quite a few treats while “on the road”. Now that I am older, I consider myself very lucky I got through those years with no cavities. Many are not so lucky! So how do we get ready for that night of goblins and ghouls without being known for that house that gives out chocolate covered tofu? Well, of course, we always assume that treats mean some sugary-laden food that sticks to the roof of your mouth or gets stuck between your teeth! 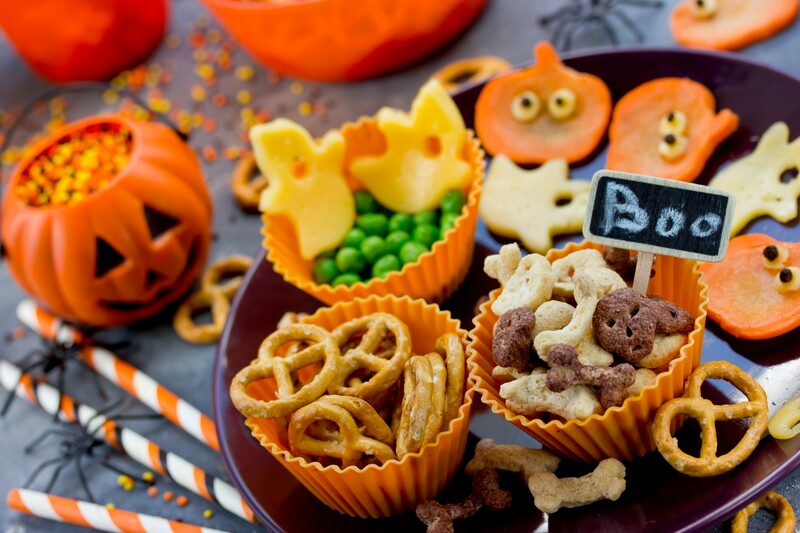 Yes, that is true, however, we can redefine Halloween treats without spoiling it for the little monsters! If you are concerned about your offerings, let’s look at some alternatives. 1) Many big box stores now offer all types of healthy snacks in little packets. So instead of reaching for the fat-laden chips or sticky candy, oven-baked cheesy crackers like Goldfish, yogurt or chocolate-covered pretzels, or your own homemade trail mix in a colourful bag will be a hit! 2) I love the idea of stickers and temporary tattoos to give as a Halloween treat. Hear me out! It’s all in the presentation so get some tall clear cellophane bags, and add to the stickers and tattoos, a balloon or two, a Halloween themed pencil for good measure, and OK if you must drop a little box of raisins! 3) Fruits are no longer considered a safe alternative but dried fruits in a closed box or bag are a great idea. Some fruits are dried up to look like long colourful gummy strings that are fun to eat. Choose the ones that have no preservatives and no added sugar as fruits are sweet enough! 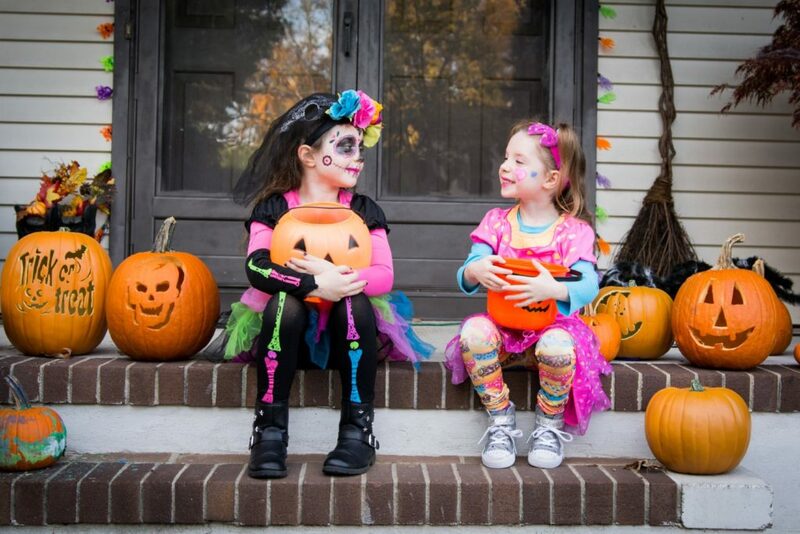 4) School supplies and items you use at home are another great way to add fun to Halloween. During this time of year, most dollar stores have themed items like pencils, erasers, goblin topped pencil sharpeners, toothbrushes covered in ghosts and vampires making the bedtime routine more fun! Halloween coloured toothpaste, glowing toy pumpkins or nightlights can be added as well! The ideas are endless. And yes, adding a little treat to eat is also a good thing provided it is wrapped and healthy. 5) If you absolutely must give candy, be a wise consumer and read the labels. Did you know that mini peanut butter cups contain 23 grams of sugar while a mini Hershey chocolate bar contains only 5 grams? A little imagination will go far and yield great results. Think outside of the box like making orange and black coloured popcorn by adding natural food colouring to the kernels and watch the colours explode! Hair clips with goblins, socks with pumpkin eating monsters, the dollar store has all you need! This will give the little ghosts knocking on your door something to talk about with their friends at school! And just like that, you’ve become the best house on the block!